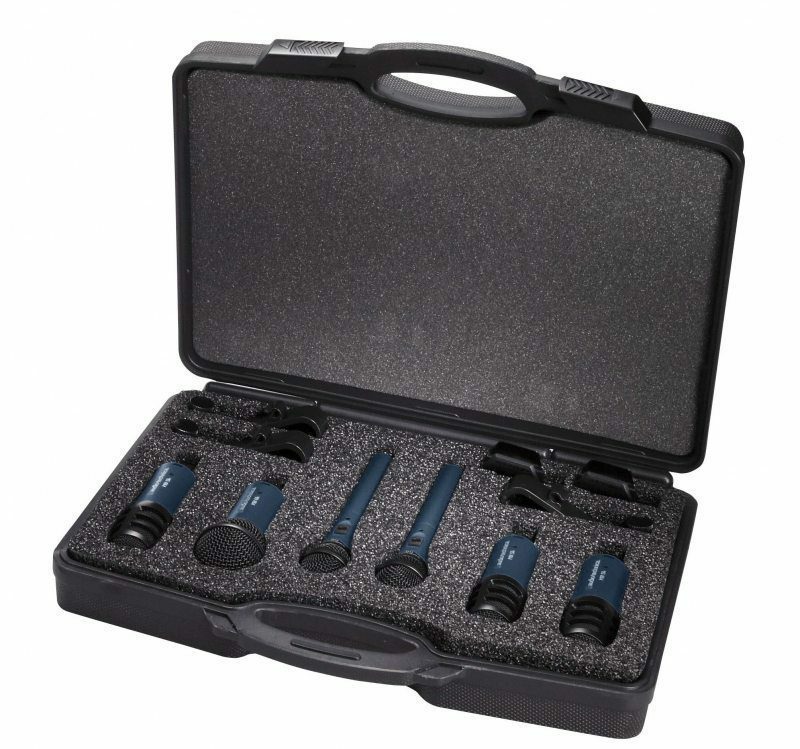 The comprehensive Audio-Technica MB/Dk6 Drum Pack includes a core selection of four microphones specifically engineered for drum applications, along with two MB 4k cardioid condenser microphones ideal for drum overhead miking. Also included in the package are three drum-rim microphone mounts and a durable carrying case. The Audio-Technica MB/Dk6 Drum Microphone Pack three included MB 5k cardioid dynamic snare/tom microphones and one MB 6k cardioid dynamic kick microphone feature low-profile design for minimum visibility and versatile placement options around the drum kit.